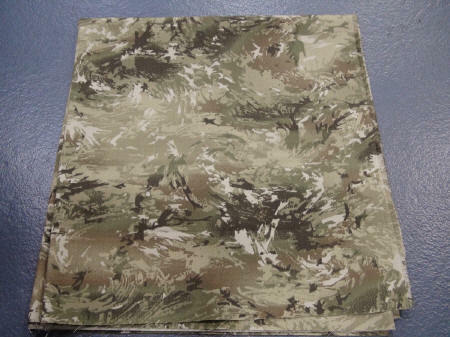 Hyperstealth Biotechnology Corp. announced today that the Afghan Border Police (ABP) will be adopting their Ghostex Kilo-1 Camouflage Pattern for use in their new service uniform. 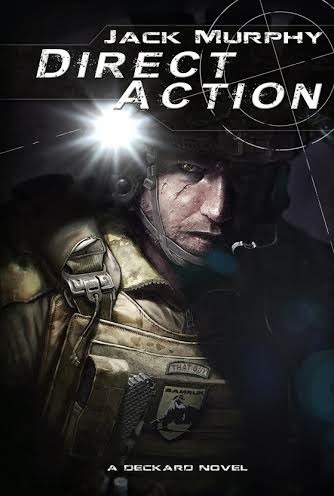 As of late they had been donning the Six-Color Desert Camouflage as seen on the shot to the right. 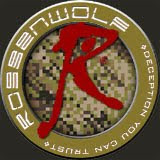 They have also been seen in the past wearing a hodgepodge of other camo including Desert Tiger Stripes. The latest colorway utilized by Hyperstealth with the Ghostex pattern at first glance was very reminiscent of a variant coming from the Crye Precision lab. 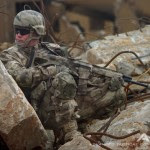 So, it was no surprise to read that the U.S. Government had ordered that the camouflage pattern include colors that matched up with OCP, which is the given monicker to MultiCam when in use during Operation Enduring Freedom. Hyperstealth certainly seems to be the go to camouflage design company for Afghanistan forces with 3 distinct organizations utilizing their camouflage patterns. The most widespread being the Afghanistan National Army's Forest Digital Spec4ce camouflage as well as the Afghan National Civil Order Police wearing the Sierra Spec4ce pattern. It is noted that 12,000 yards of material will be manufactured and printed with the Ghostex Kilo-1 pattern in the U.S., which is then sent off to Afghanistan to be sewn into the Uniforms for the ABP by local manufacturers. Hyperstealth can take their trademarked Ghostex pattern and quickly print any required colorway on Milspec Fabric. This particular camouflage system was developed in conjunction with ADS Inc. for this exact purpose to be utilized by U.S. Elite Special Forces. 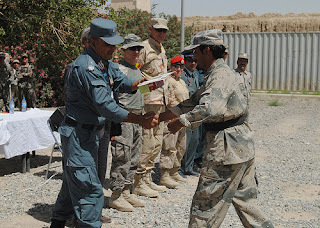 We have seen some Afghan forces wearing the Multicam Pattern including the Afghan Police Unit, so it will be interesting to see U.S. and possibly British or Australian troops in their variants of the camo working with the ABP in their new Uniform with a very familiar yet distinct pattern.